King is a feline with purple, red and black markings. He’s a grumpy male who has a short temper, but is usually friendly nonetheless. King is the “fursona” of 15-year-old CHS freshman Catherine Buonaguidi. A “furry” is an enthusiast for animal characters with human characteristics, also known as anthropomorphic, who dresses up in mascot-like costumes and creates a “fursona” for their creature. When most people think of furries, they imagine a realm of animalistic fetishes and humans believing they are animals, most of which are distorted versions of the actual community. In reality, most furries like to attend conventions, create personalities for their characters and tap into the larger community online. Buonaguidi has been a part of the furry community for nearly five years, explaining how it all just began by drawing anthropomorphic animals for fun. (Buonaguidi identifies as nonbinary and prefers they/them pronouns.) Years later, the freshman is deeply involved in the community, owning two fursuits while creating and selling more to others. When reflecting on what the community means, Buonaguidi says that finding acceptance with other furries was never difficult. “It’s a place for people to go who aren’t supported by their family for being LGBT or just to get away which is nice for everyone.” Buonaguidi smiles. The furry community came into existence in the late 1990s and later grew to have members all over the world that identify with these anthropomorphic animals. The “fandom” is made up of all different age groups, genders and sexual identities. In the early 2000s, the group was labeled as a sexual fetish by popular media, such as a Vanity Fair article in 2001 and an episode of “CSI” in 2003, according to Huffington Post. However, the community has shown to be an accepting space for people to be creative and express themselves in various forms. 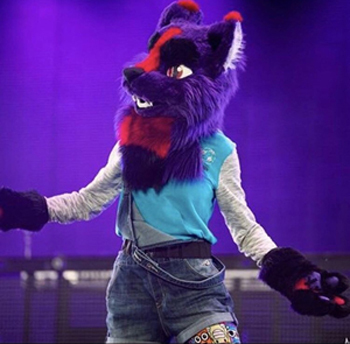 What it means to be a furry expands much farther than just wearing a mascot costume, since only 15 percent of the community actually owns a fursuit, according to data by the Anthropomorphic Research Project, opening up the world of cartoons, chat rooms and various art forms. 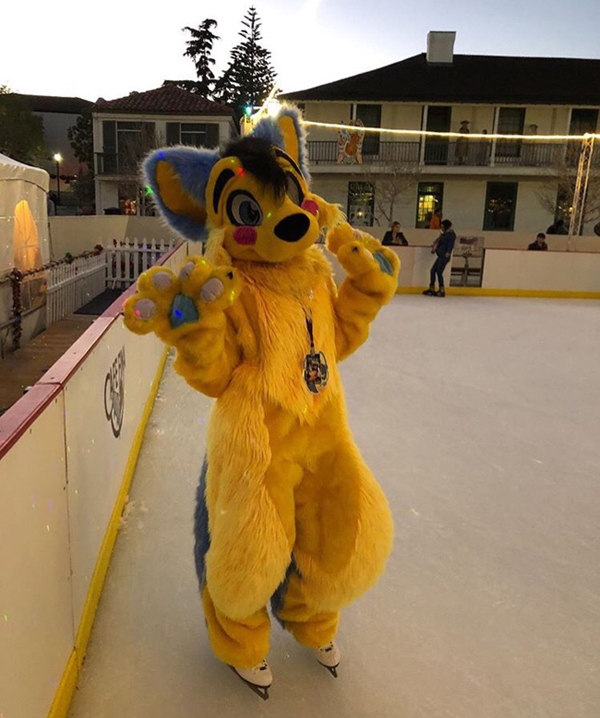 Buonaguidi spends time in the furry community by attending conventions, entering dance competitions, meeting up with friends and doodling these creatures. Focusing primarily on hip-hop, Buonaguidi is also enrolled in the dance program at CHS after years of practicing alone. Now choreographing a dance for the high school dance show, Buonaguidi is happy for the opportunity. FurCon is an annual furry convention held in San Jose, which includes various competitions, panels and activities. This convention is also where Buonaguidi met up with another furry after meeting online, a fictional creature named “Otter,” who is freshman Izabella Hasse from the San Jose area. Buonaguidi shares the passion for anthropomorphic creatures with others at CHS too, such as freshman Katherine Drumwright. The two met in elementary school and later became close friends. Eventually, Buonaguidi introduced Drumwright to the furry fandom. Drumwright also touches on a darker side to the community: the hate that almost all furries have experienced. She explains how dealing with detractors actually made them closer friends. Buonaguidi also notes that upon first joining the fandom, it wasn’t just strangers being unaccepting—parents and close family were unsure as well. Buonaguidi also runs an online store, Kingz Korner, making and selling fursuits to others in the community. Celebrating nearly five years of membership, Buonaguidi doesn’t see abandoning the fursuit anytime soon.